The wall mounted pressure washer has a 2400w motor and has a maximum of 2320psi. Max Output 540L/hr and is fitted with a 1.8L detergent tank. Weighs 19KG and comes with an accessory rack which includes a brush and detergent bottle. 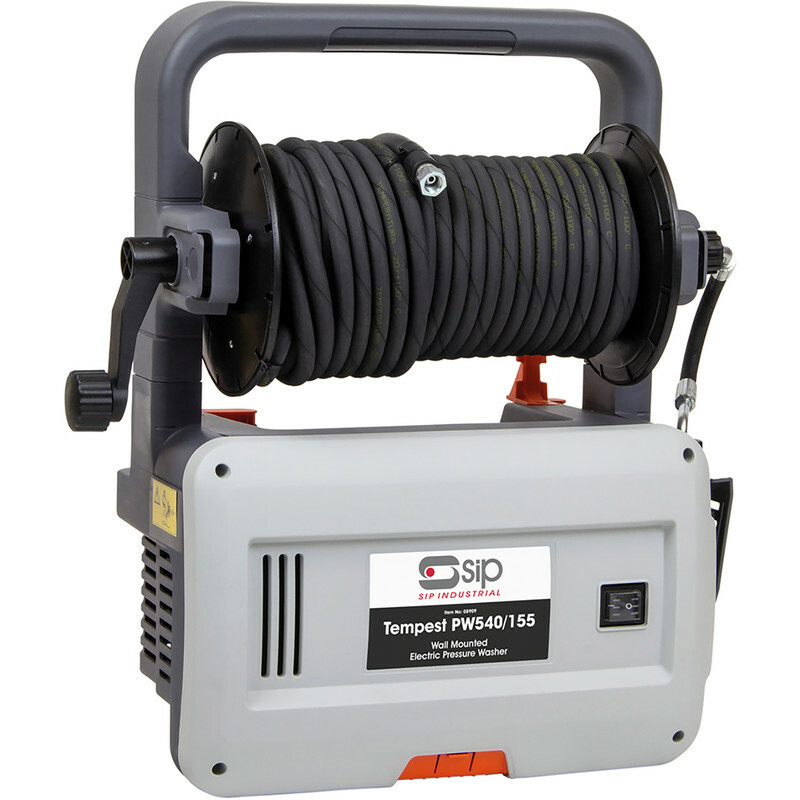 The wall mounted pressure washer is fitted with a 15 metre hose with integrated reel. This machine is designed for ease of storage and displays a compact design. Home Delivery is unable to be offered for the following postcodes, BT, GY, HS, IM, IV41-51, IV55-56, JE, KA27-28, KW15+, PA41+, PH41-44, PO31-41, ZE.